About: This is one of our fee campgrounds that provides sites that are usually accessible to RVs and tent trailers along with a few hike-in and tent-only sites. 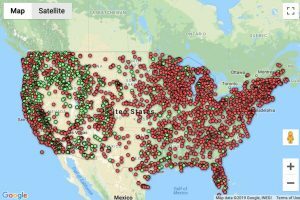 This campground has 38 sites available. At this campground youll find accessible outhouses, drinking water and garbage facilities. Some of these campgrounds have amenities such as hiking trails, boat launches, fishing piers, picnic areas, and beaches. All the sites at this campground are first-come, first-served; youll need to visit the pay station at the campground to register and pay. Please use the facilities provided such as fire rings, tent pads and latrines. Please dispose of garbage in the container provided. Water faucets are for collecting water only; dont use these community areas to wash dishes, fish or other items. Remember that noise limits are enforced at developed campsites; be aware that sounds at your campsite should not disturb other campers. Restrictions: See http://www.fs.usda.gov for restrictions.